Royalville, built in the 1980s, comprises 93 residential units and 11 shop units. 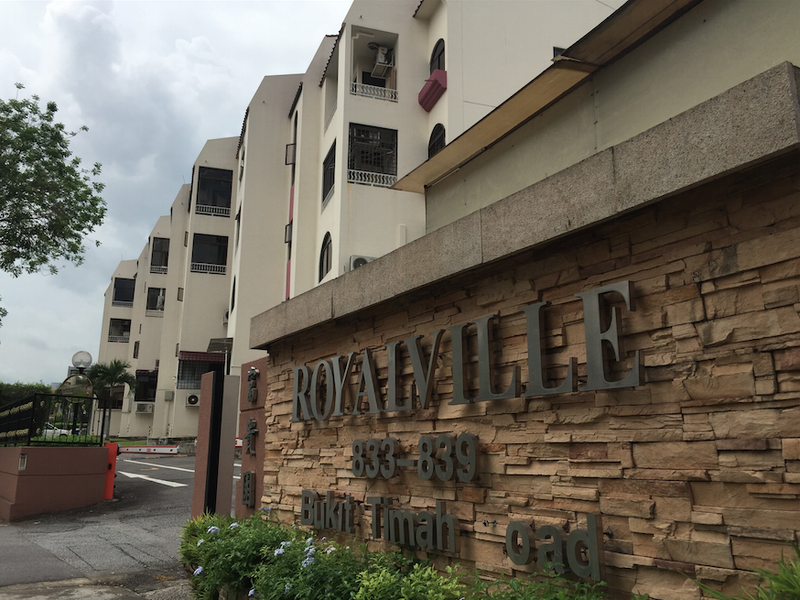 ROYALVILLE, a prime freehold residential site in Bukit Timah Road is just beside Sixth Avenue. None of this will make sense, unless you grasp the current situation regarding en-blocs. In brief, Singapore has been gripped by en-bloc fever. This is fueled by large, aggressive bids on the part of Chinese developers, who are eager to move their brand from mainland China onto the global stage. China developers love Singapore so much, it might raise our cost of living. 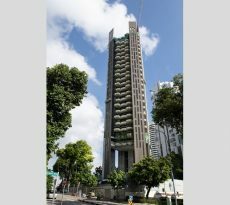 Bids for land are now at record highs, such as a $1 billion bid for a plot of land along Stirling Road this year (the highest ever on record). Compared to 2012, developers are now buying land at a premium of 29 per cent. This is happening despite a slow and continuous decline in property prices, since 2014. Property prices are currently down by more than 11 per cent from the peak in 2013, thanks to government-imposed cooling measures. As you can imagine though, the aggressive land bids – along with the subsequently higher property prices they could cause – are acting contrary to the government’s intent to keep homes affordable. URA is just tracking demand for various land parcels so as to also profit from the rising prices and release more land. Even when a bid is not successful, URA wants to know the names of the bidders. Why? Our guess is, they want to identify the key drivers of the en-bloc craze. This data will reveal if there’s general demand from all developers (which means they are all land-starved, and we should have more GLS), or if a few big developers are driving up bids (in which case the big players need to be restricted somehow, rather than the government just selling more land). 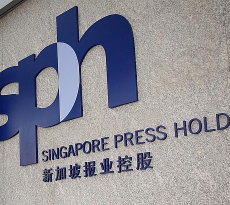 The Singapore government has never been shy about intervening. If they sense that a handful of big property players are distorting the market, and running contrary to the intent of their cooling measures, we may see further policy intervention. At present, foreign developers are already subject to the Qualifying Certificate (QC), which requires that they complete and sell all their units within seven years to avoid hefty tax penalties. The data will clue the government in, as to whether that alone is enough to restrain high bid prices*. *Note that the main purpose of the QC is to prevent land hoarding; but it also acts as a control measure on how aggressively a developer bids. Bigger and more expensive land plots are riskier, as the tax penalty is based on a percentage of the land price. By tracking all bid amounts, inclusive of failed bids, URA can get a more accurate picture of real-time demand for different land plots. This helps them to make future plans on where to launch more land sales. It also gives them an idea of where other fees, such as Development Charges (DC), could stand to be higher due to peak demand. Enbloc is not all good, there are also bad aspects of enbloc. URA already has this data, in the form of past transaction records. But the current method provides a more immediate insight into the situation. We’re also hazarding a guess that URA is checking demand in conjunction with the URA Master Plan – this is the blueprint of how URA intends to develop and zone certain neighbourhoods. The Master Plan is public information, and is often consulted by property investors and developers when gauging future potential. URA might be interested in whether its Master Plan projections do anything at all, in raising bid prices for certain land plots. If everyone knows an area is going to become a major transport hub, for instance, developers should theoretically be willing to fork out more in their bids. The amount of land being sold for development, in conjunction with the current supply of unsold properties, is a major consideration for URA. This information can help to determine the number and place of future GLS. And this is the one that has everybody worried. The Singapore government is very fair, they simply want the highest prices for the land. They do not care if you have to pay through the roof for your house as any land sales goes to Government Reserves. Singapore government appoints SLA to manage the land sales, URA, HDB, JTC, SL A and LTA are state land sales agents for the government to sell plots of land. Here is what SLA says. URA might just be looking to see where demand is greatest, so they can drastically ramp up prices and squeeze the most out of land sales. Think about it: if you can see multiple developers coming up with crazy bids for a plot, in real time, you can quickly adjust your prices upward to profit. This is bad news for anyone except URA, and the owners of collective sale properties in the area. When prices rise from land sales or Development Charges (DC), that causes the private home prices to rise as well. We really hope URA isn’t just trying to maximise profits, and screw upgraders and private home buyers in the process. Check out the property guide for buying BUC property. They wouldn’t do that, right? Or maybe, it’s all of the above! URA may be doing it for for all the reasons stated. At any rate, the most immediate impact right now is on the marketing agents. They have only two days to file the information, which is quite detailed. We can hear them swearing about the paperwork even from here. The long term issue is whether URA is trying to push prices up. Land plots are already selling at a 29 per cent premium since 2015 – we don’t need them climbing any higher. That wouldn’t just price upgraders out of the market – it would also cause the prices of existing private properties to rise (new and resale property prices tend to move in tandem), and raise the demand on public housing. If we see bids and development charges rising over the next few months, we may have a good idea why its happening. 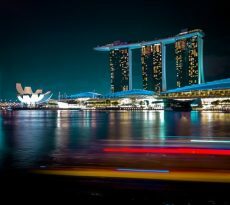 The Singapore government sells a lot of land for condominium projects or other plots of land for commercial development. 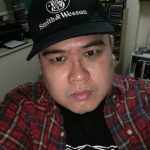 Maybe the Singapore government is really caught off guard this time by so much enbloc activity. As enbloc eases the need for the Singapore government to release land and hence their land sales targets for reserves are impacted. How can the people make more money than the government? This is simply unfair. Maybe let’s come up with a Enbloc development Tax for those properties that are FH and 999 as the government cannot really charge DC and DP on these properties.